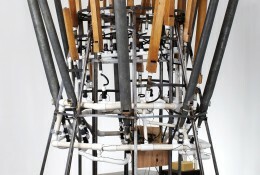 Mechanical Aviary, 2014, Vintage organ pipes, vintage bird calls, electronics, and steel 86 x 37 in. 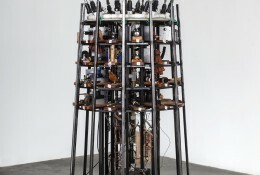 The General, 2014, Vintage organ pipes, electronics and steel, 96 x 87 in. 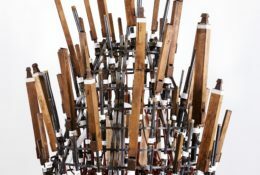 Untitled,2014, Vintage organ pipes, electronics, wood and steel.